A couple years ago in this article, we introduced you to one of STOP Foodborne Illness’ star advocates, Rustin Brown. When Rusty was in kindergarten, one night he went out with his family for dinner and had a salad—a healthy food choice his parents felt more than good about seeing their young son eat. Sadly, this salad was anything but healthy: It was contaminated with the potentially deadly pathogen, E. coli O157:H7. As Rustin grew up, he became fueled by a passion for helping people learn about foodborne illness and how to prevent it. Today, at age 17, Rustin continues his quest to empower others with the know-how needed to keep their food safe. At STOP, we feel super fortunate to have Rusty on our team as a smart and talented go-to advocate. Read on to find out what’s on Rustin’s mind and what he’s working on today in the world of food safety. Q: You recently attended the Safe Food California Conference. What was your message to attendees about food safety? A: I told my story to an audience made up primarily of people working in the food industry, and my main message was that foodborne illness can happen to ANYBODY. Every single one of us is at risk every time we take a bite of food. So, I really emphasized the importance of the work they do. I urged everyone to educate themselves about steps they can take every day in their homes and while they’re out and about to prevent foodborne illness. A couple specific things I touched on include the importance of having information available for parents who are scrambling to understand what’s happening, and how STOP Foodborne Illness has information on their website as well as willing volunteers who provide wisdom and experience to anyone who is impacted by contaminated food. Q: What issue surrounding foodborne illness makes you the most frustrated and gives you the most motivation to fight for positive change? Reading about foodborne disease outbreaks makes me sick to my stomach. And this definitely stirs up huge motivation in me to do everything I can to help prevent these outbreaks. When I see or hear about stories of young and older folks alike who suffer so much after a seemingly harmless decision to eat out, my heart just breaks. Or when I see comments from parents who feel gut-wrenching guilt over buying food they thought was safe for their kids—only to learn that that food was contaminated and caused a severe foodborne illness—I cringe. That’s why I’m really grateful for STOP. STOP Foodborne Illness and its incredible army of volunteers have been at the very forefront of creating positive change through stricter regulations, education, and helping victims, and others impacted by foodborne illness, tell their stories. Q: Why do you volunteer with STOP and what does it mean to you? A: I volunteer because, despite all of the food safety progress that’s been made, there’s much more to be done. I’ll continue giving my time and efforts because I want to save as many lives as I can and prevent as much sickness as I can. When I first offered to speak regarding my E. coli experience, I was so humbled at the stories I heard of survivors, and their families, and the horrific accounts of people who didn’t survive. People need to know that just because I suffered as a child, the pain and fear did not go away! People need to understand that I refuse to eat lettuce because I’m terrified it could be contaminated. We must ask and figure out: How could this have been prevented? Volunteering helps educate, and I feel I’m the perfect person for the job! Rustin Brown is an active 17-year-old college student living in Alpine, CA. 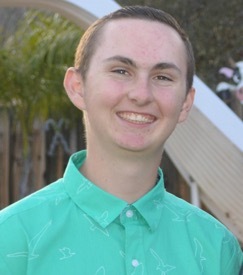 He is currently attending Grossmont College where he enjoys studying the field of Administrative Justice. When he was just five years old, Rustin fell ill from E. coli O157:H7 food poisoning. Although he suffered greatly and was hospitalized for five days, Rustin considers himself one of the lucky ones since his kidneys didn’t shut down and all of his organs are healthy today. Rustin does live with food phobia, though, which brings up fear every time he eats. When Rustin isn’t studying or volunteering his time with STOP Foodborne Illness, he enjoys fishing and loves to run. JOIN RUSTIN AS A CHERISHED STOP VOLUNTEER! Volunteerism is at the heart of how STOP is able to accomplish so much and bring about positive change that helps prevent foodborne illness and save lives. If you’re interested in becoming a volunteer, please contact Stanley Rutledge, Community Coordinator, at srutledge@stopfoodborneillness.org to take next steps. Learn more about volunteer opportunities here. Thanks so much in advance from all of your friends at STOP!